Here’s a new wallpaper based on a very special gameplay screenshot from the old top-down build, captured at 1080p with 16x MSAA and maximum texture detail. 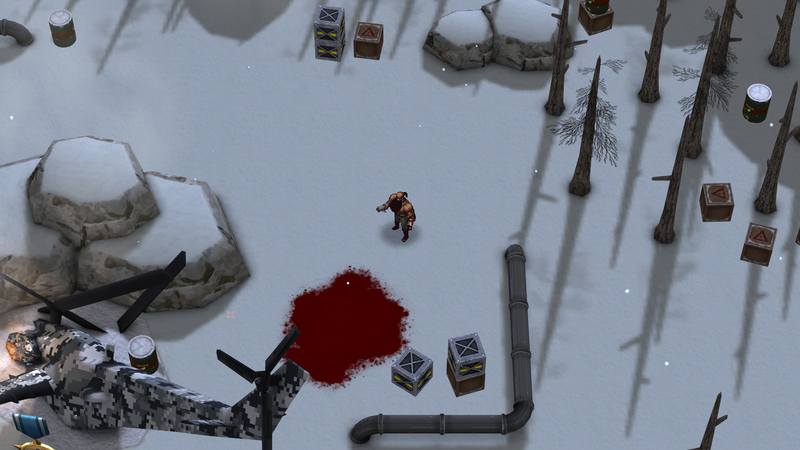 Besides an evidently better IQ compared to the browser captures we already released for this version of the game, this screenshot also features something entirely new: a large bloodstain on the snowy ground. Dudebro sure seemed quite eager to paint this immaculate environment red! This entry was posted on Monday, May 16th, 2011 at 7:00 am	and is filed under Main News.